Supervision, engineering, planning and completion: these four key competencies of the ECM (Entity in Charge of Maintenance) are united within MASTERIS to ensure seamless maintenance. 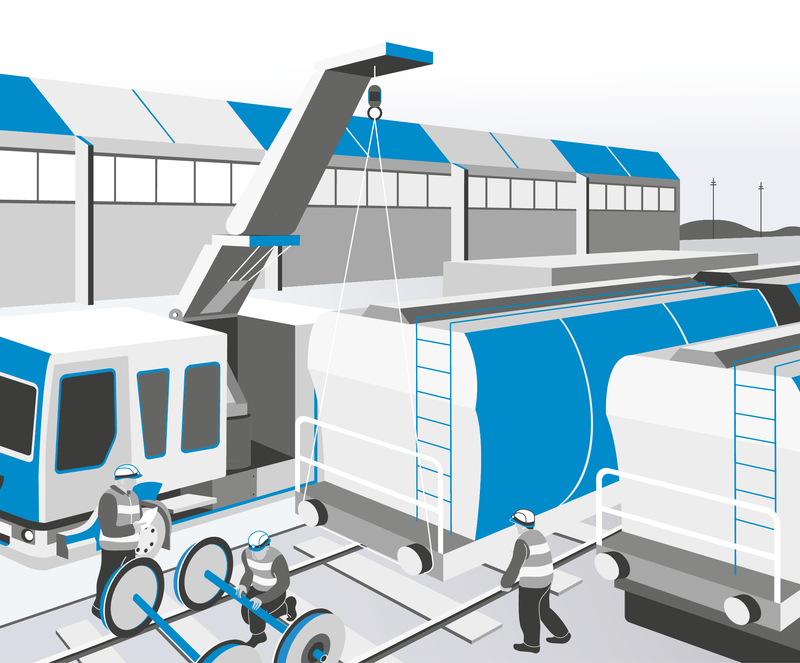 Whatever your need, MASTERIS offers you a made-to-measure solution adapted to your operating conditions and the size of your rolling stock fleet.This proposal relies on or own network of workshops and qualified partners in Europe, with the support of mobile teams that take action as needed. Our fleet technical supervision department, which schedules your maintenance operations, is available on-call 24 hours a day, 7 days a week. In the same way as for locomotives, we master the four functions of the Entity in Charge of Maintenance (ECM). We will suggest to you an optimised maintenance plan (SNCF and VPI) and complete long-lasting preventive and curative work on your entire rolling stock. All-inclusive maintenance packages, one-off services, restoring to operational condition: thanks to vast expertise combined with a unique network of workshops, MASTERIS offers a complete range of personalised services. The mobile teams get involved to keep transport to a minimum and increase the availability of your rolling stock. Our Fleet Technical Supervision measures ensure optimal planning as well as a speedy start to the work. You need to minimise the length of time your rolling stock isn’t rolling and make sure travellers experience the optimal performance of trains and their equipment. Thanks to the maintenance experience we’ve acquired on numerous machines, we can guarantee our clients the best possible conditions for their fleet in terms of comfort, reliability and safety. Given your specific operating constraints, we complete work for both one-off and regular needs as well as preventive and corrective maintenance operations. You thereby benefit from made-to-measure solutions that adapt to your requirements and your budget. In addition to our experience, from urban stock to high-speed rail, we are supported by our engineering teams and the latest technological innovations in order to improve the safety, reliability and availability of your rolling stock. From simple repairs to overhauls, MASTERIS takes care of all types of rolling stock: locomotive, tramway, underground, self-propelled and more. Our promise: make you benefit from feedback and the best savoir-faire. We prolong the lifespan of your assets by integrating the latest advances in technology and new features. MASTERIS’s expertise means only parts that need replacing will be replaced and you won’t have to compromise on your performance, safety and reliability objectives. MASTERIS means a contractual obligation to costs and deadlines with no surprises, thanks to our pre-production studies. We take a proactive approach and put all our effort into finding solutions that are compatible with your operating constraints. 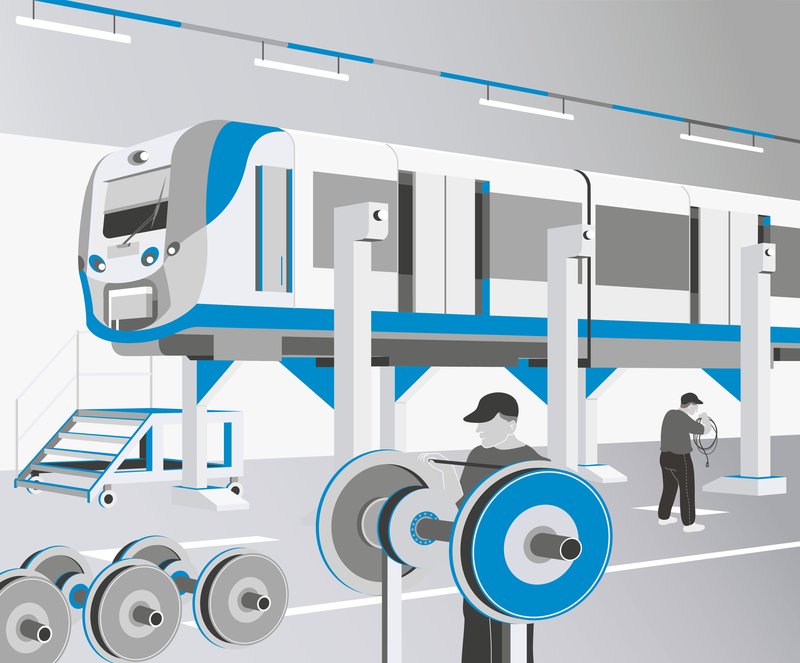 For maintenance on braking or on-board signalling equipment, axles and more, MASTERIS as the solutions for your rolling stock with access to more than 3000 suppliers.This guarantees not only choice but also availability and, above all, lower costs and significant time savings when you need to procure spare parts. Whatever your needs, MASTERIS will work with you to find the answer that best suits your needs, including the logistics. And if it’s an emergency, you can also count on us to find a way to get you up and running. 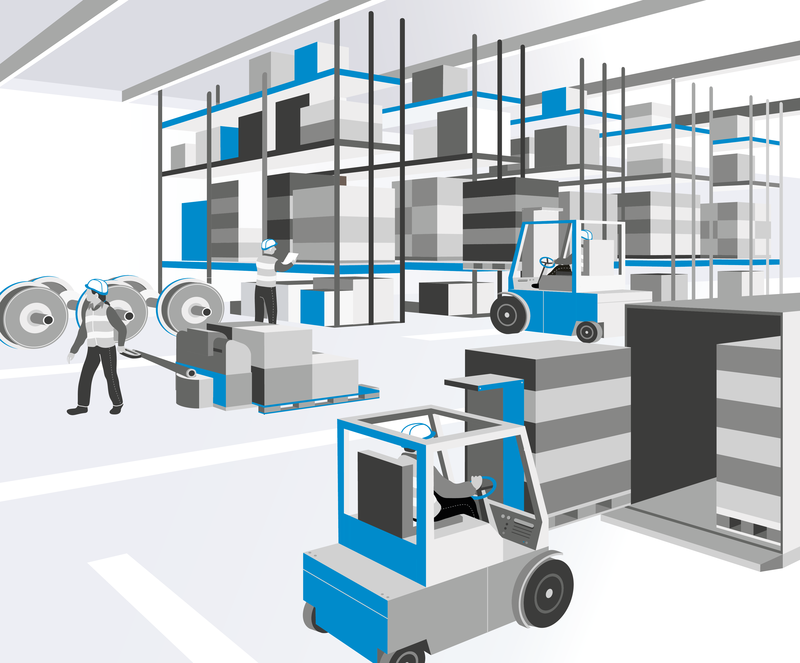 By procuring your spare parts from MASTERIS you guarantee the long-term operability of your assets. We implement a wide range of actions and tools for your reassurance: French and European supplier approval, quality control, traceability, compliance certificates and more. Integrating a new feature, improving a piece of equipment, designing or adjusting your maintenance plan, replacing or expanding your fleet, training your teams: MASTERIS guides you through change and anticipates your needs thanks to state-of-the-art engineering, whatever the railway speciality. With MASTERIS, you have access to nearly 90 railway specialities to continuously improve rolling stock performance. We’re in tune with the (new) needs of operators to redesign uses and suggest new concepts for tomorrow’s trains. From identifying needs to providing services, our teams play the ace up their sleeve—location, location, location! Every project is laid out in a clear framework and we make our often complex services as straightforward as possible.